The Supreme Court will hear veteran Congress leader Jairam Ramesh's plea challenging the Government decision to turn Aadhar act into money bill in the first week of November. Jairam Ramesh had alleged that just to by pass the Rajya Sabha, the Government has taken a decision to put Aadhar law as a finance bill. The Congress leader on Tuesday appealed before the apex court seeking an early hearing in regards to the matter. P. Chidambaram, senior lawyer of the Supreme Court, appearing for Ramesh, mentioned the matter before the Apex Court bench headed by Chief Justice of India (CJI) Dipak Misra seeking early hearing into the case. After hearing the mentioning by Chidambaram, CJI Misra, said they had not read and gone through the privacy judgement then, so they could again mention the matter before them on Friday, then "we would see what can be done on the matter." Earlier, the Government opposed in the top court against the petition on the ground that it covered all constitutional provisions to bring it under the ambit of a money bill. 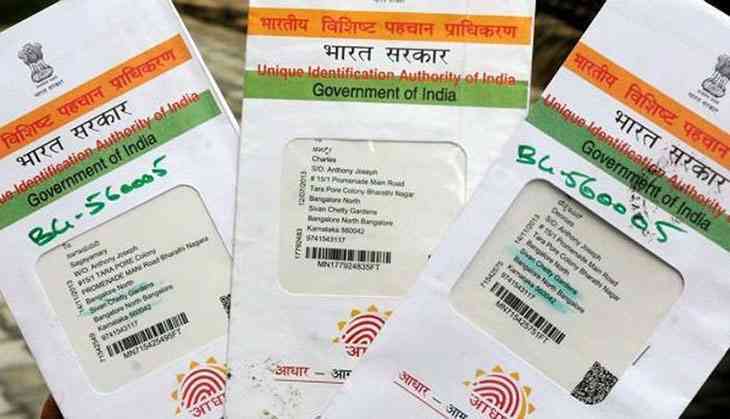 The Aadhar (Targeted Delivery of Financial and Other Subsidies, Benefits and Services) Bill 2016 was passed in the Lok Sabha on March 11 after Union Finance Minister Arun Jaitley moved the key bill for consideration. The bill was aimed at giving statutory backing for transferring government subsidies and benefits to targetted people. It also laid down a regulatory framework to protect core biometric information of Aadhar cardholders from any unauthorised disclosure or sharing.